Retribution of Cyryst: eVyros batrep 4. Some Perspective. I'd like to start by apologizing for the toilet humor in the last post. There really could have been a lot more and it might have been an easier read over all, because to be honest the quality of the reporting was complete and utter arse. Despite the game against Rask yesterday I also had a game against my regular Cygnar opponent. Well 2 in fact. One with Kaelyssa which went a little too well, and forced him into a hail mary assassination and got me killed. The second game was against... Fancy Pants mcStabby... Stryker? guy who overcharges for damage and hurts himself, so emo. He took first turn, I like to go second. I position up behind the objective and he sets up just ahead of it. Stormwall advances and stormpods the Aspis who took the hill with feat movement. It also tags the Mage Hunter Assassin but doesnt kill it. The Griffon on the right flank took the feat move to get closer to Alexia proxied by the strider. 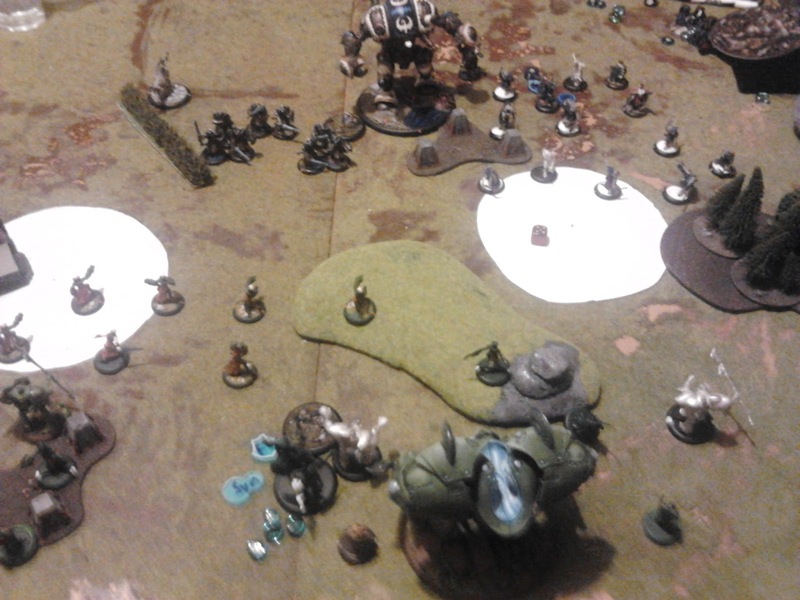 Feat moves were provided with thanks by the charging Cygnar infantry killing Battle Mages. 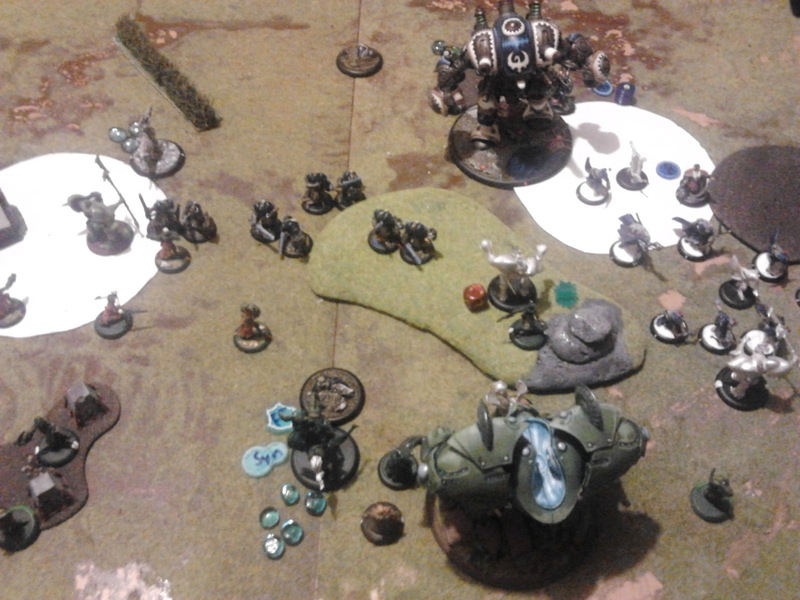 My opponent thought the Stormwall might have been out of range of the Hyperion, thinking about where the stormpod landed he was actually way closer. Vyros opened by upkeeping synergy and making a ride by attack, tagging the storm pod for a point and finishing his ride by behind the objective. 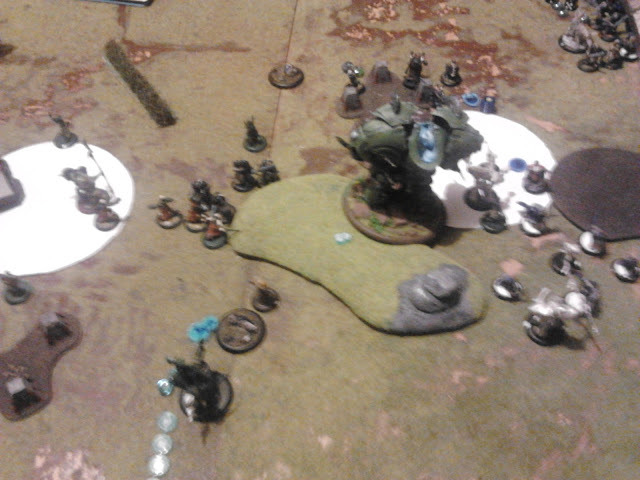 Lanyssa advanced through the gap and Hunters marked the Stormwall, Hype had 3 focus and concentrated power on him. The left griffon gets a point from the arcanist and adds to the Synergy chain by killing Alexia. 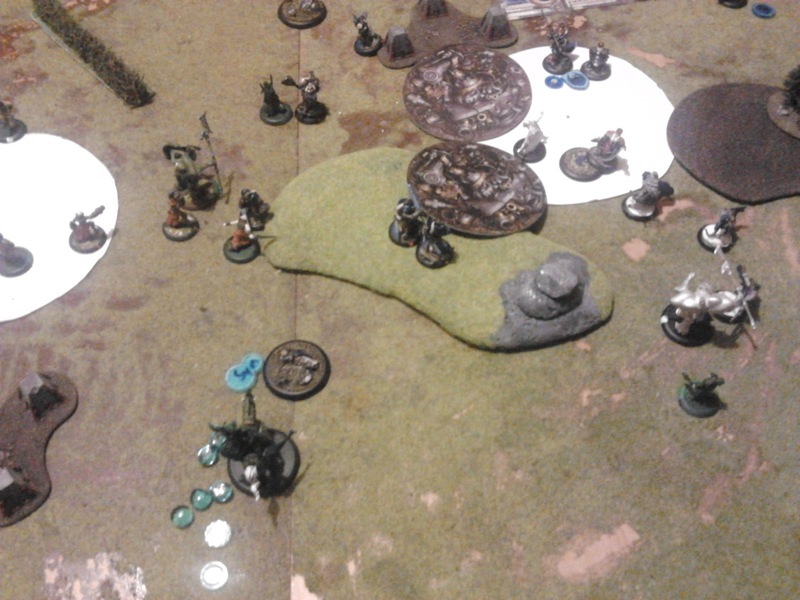 The right Griffon continues by hitting a Nyss and the Aspis kills 2 more Nyss with the Synergy bonus. Now Hype is on 4 synergy and is getting +2 from concentrated power, he charges the Stormwall for free due to Hunters Mark and hits the Stormwall at dice +7 and wrecks it with a focus to spare. Stryker or Caine... Fancy Pants McStabby charges himself up and kills the Hyperion what a man, (swoons). He is obviously the Paul Newman of Warmachine. So I should have lost this game. 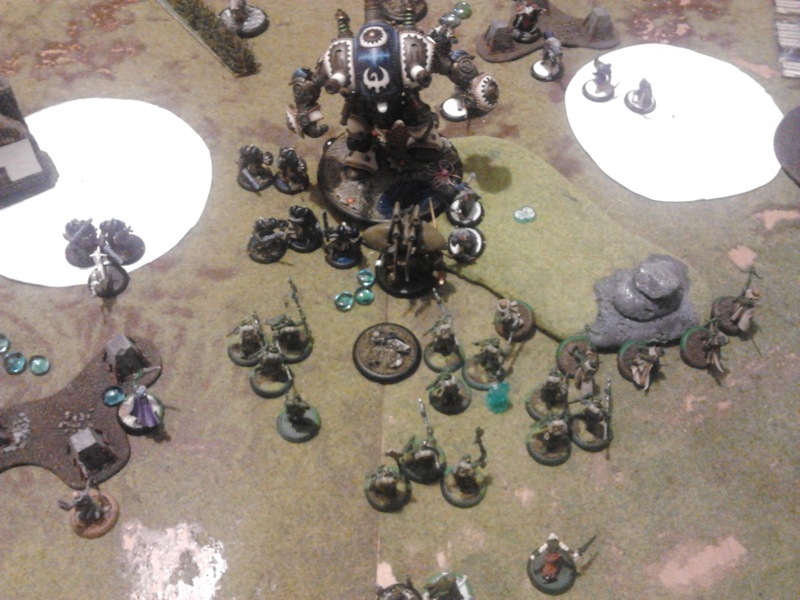 If keeping this blog is teaching me anything its that I'm terrible at Warmachine. Marlon Brando.. with an eye patch. "I have eyes like those of a dead pig." And on that, I will leave you with those words of wisdom. ty ty, always a good game playing against you Josh.